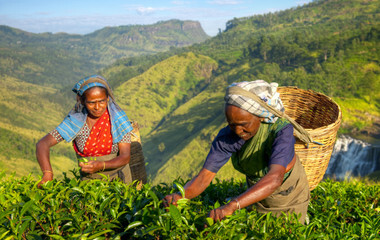 Sri Lanka tours will transport you to an exotic destination island filled with Buddhist artifacts, elephants, tea plantations, and ancient temples. You will marvel at the unspoiled beaches and enjoy traveling through the countryside on a charming train. Exploring the sights and sounds of this Asian country will leave you filled with wonder. Sri Lanka tours will transport you to an exotic destination island filled with Buddhist artifacts, elephants and tea plantations. 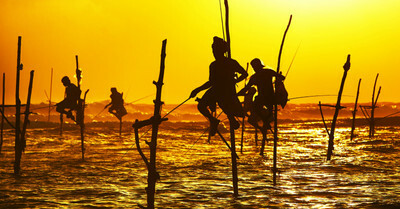 Best time of the year to visit Sri Lanka? We wanted to have a tailored tour in Sri Lanka and decided to use the 12 days' "the Best of Sri Lanka" tour by Roshara as the base. Roshara knew very ..."
Obscured by the Goliath that is India, Sri Lanka is something of a hidden gem in Asia. All the better for anyone on Sri Lanka tours, since it means the plethora of lush beaches are left virtually untouched and the unique style of life relatively untainted by droves of tourists. Within its borders Sri Lanka packs in 8 UNESCO Heritage sites, a fascinating culture and some of the best food you’ll ever try. Do not miss out. Sri Lanka travel packages make it fairly easy to visit everything you'd like to see in one tour due to the relative small size of the island. There's no real reason to divide the country into regions. There is, however, a well-trodden path around the country known as the Cultural Triangle. Cultural Triangle tours feature many of the country's most popular tourist spots. Kandy is central to this region, and is home to the Temple of the Sacred Tooth Relic, believed to be Buddha's tooth. Trips to Sri Lanka often include this temple; Buddhist followers believe a visit here improves their karma. Nearby you can enjoy the epic ruins of the city of Anuradhapura, a vast medieval Asian city that was once the capital of the island. Walking through the city it's easy to imagine the civilization that once roamed the dusty paths. The energy of the place - as with many of the places you’ll see when you travel to Sri Lanka - is one that will stay with you. The solemn, reflective attitude of the Buddhist monks that once studied in this great city permeates the air. 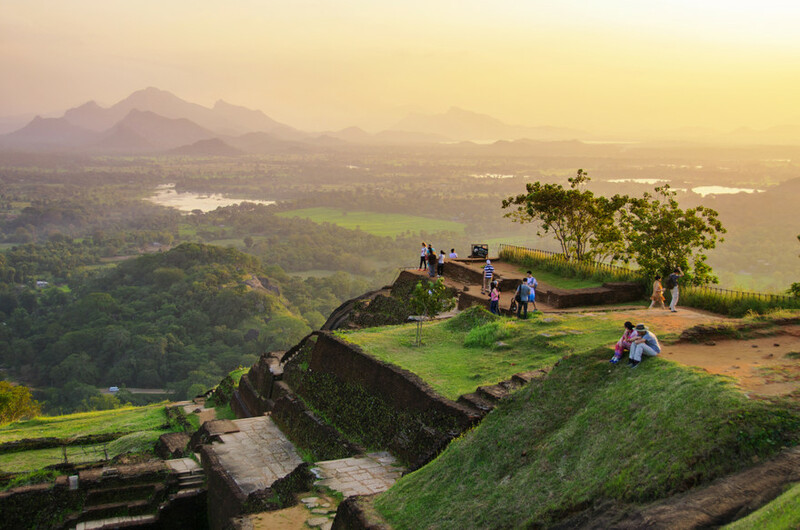 Polonnaruwa is smaller but equally breathtaking, and anyone traveling to Sri Lanka should take the opportunity to climb Sigiriya - a huge rock with ancient markings, elaborate carvings and a huge stone entrance carved into the shape of a lion. 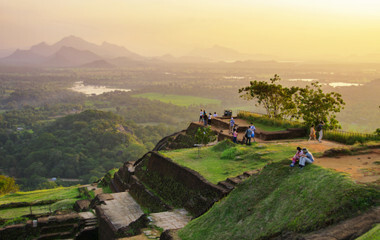 From here it's easy to travel to Dambulla, in the Central Province of Sri Lanka, where you will discover the country’s largest and well-maintained temple cave complex as well as the famous Rangiri Dambulla International Stadium which was built in only 167 days. Mihintale is also worth visiting, as it is believed to be the site where Buddhist monk Mahinda and Kin Devanampiyatissa met and brought Buddhism to the island. Buddhists from the entire world make pilgrimages to this mountain peak, the site of multiple religious monuments and abandoned buildings. 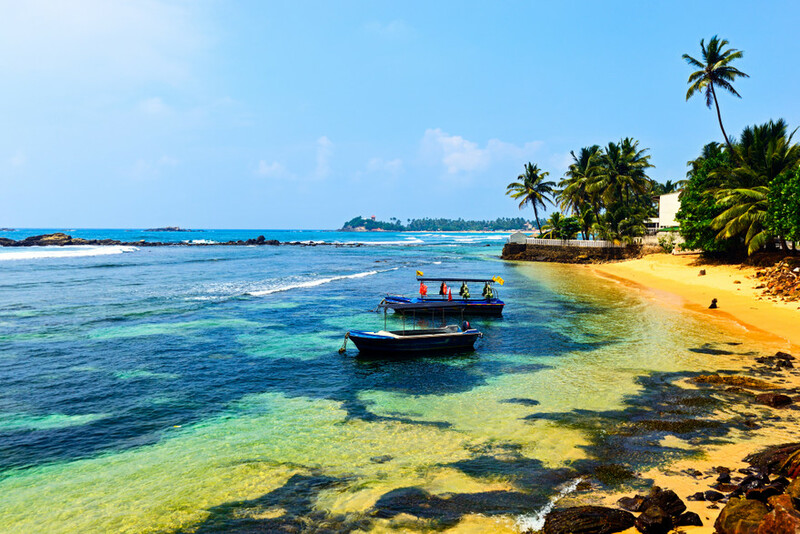 A trip to Sri Lanka will undoubtedly begin and end in Colombo, the nation's vibrant capital. On the coastlines of the city you'll find inexpensive, luxurious hotels to relax in, while the streets are lined with restaurants serving up some of Sri Lanka's remarkable dishes. 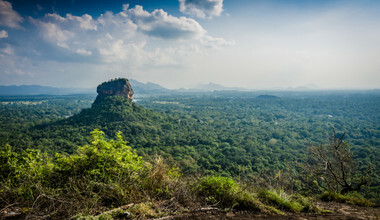 Owing to its tropical location, Sri Lanka has distinct wet and dry seasons (as well as a mini monsoon season in each). From May to August the southwest of the island can be battered by monsoons (the rest of the year is mostly dry). In the northeast it's much drier, but between October and November you could encounter monsoon weather. When you choose a Sri Lanka trip from trip.me, the best part is the peace of mind you get by traveling with a Destination Expert. 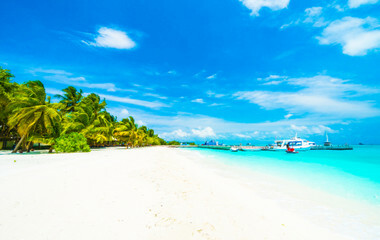 Our unique business model eliminates the middleman and connects you directly with your guide, saving you both time and money and giving you the best price for the trip. You can browse through any of the suggested itineraries, customizable down to the finest detail. Or you don’t see everything you want to do, simply contact your Destination Expert and design your trip together from scratch. Explain your interests and your personal Destination Expert will take it from there. 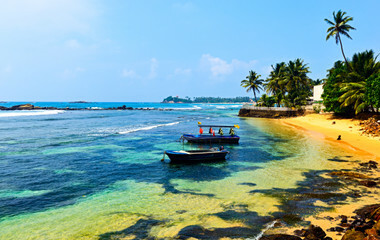 A Sri Lanka holiday takes you to an island filled with treasure. Sri Lanka is famous for its gem industry, named Ratna-Dweepa which means Gem Island in Sanskrit. Ratnapura in south-central Sri Lanka derived its name as the “city of gems”. In fact, the celebrated brilliant blue sapphire engagement ring of first Princess Diana and now Princess Kate Middleton is a Sri Lankan Ceylon Blue Sapphire. In addition to the sapphires, Sri Lanka travelers from Marco Polo to Ptolemny noted the topazes, amethysts, rubies, tourmaline, and garnets available. Any reputable jeweler in a major city can help you select a treasure of your own to bring home. 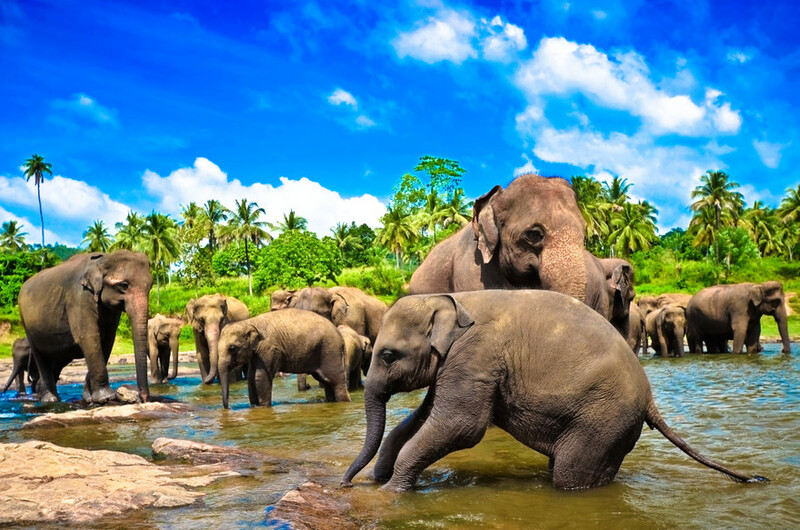 During your Sri Lanka private tour, you will have an opportunity to see the largest population of the Asian elephants. 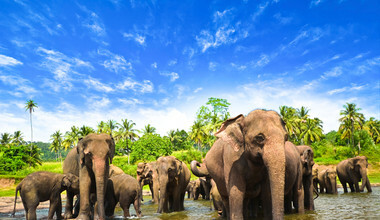 The Department of Wildlife Conservation estimates nearly 6000 elephants on the island, more than anywhere else in Asia. 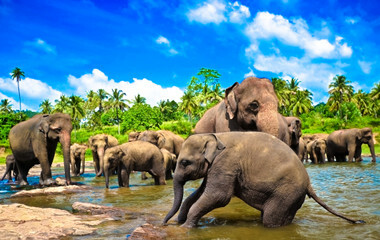 While you will probably spot elephants throughout the country, if you choose a Sri Lanka holiday package that includes a visit to Kaudulla National Park, Minneriya National Park or Udawalalwe National Park, you will be able to see the largest herds of elephant families in their natural habitat. 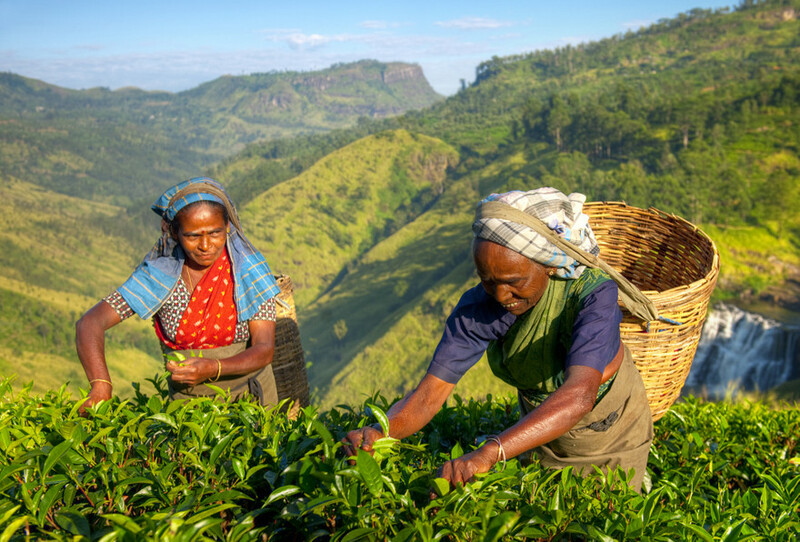 Had it not been for a coffee blight in the 1860s, tea may never have been cultivated on the central highlands of (then) Ceylon. 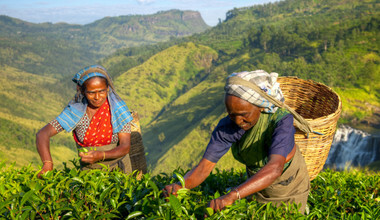 Today, a Sri Lanka tour can take you through the neatly manicured tea bushes that cover the hillside today. The tea fields delighted the waves of British settlers, who constructed Victorian tea barns to process their leaves, many of which are still intact and in use today. 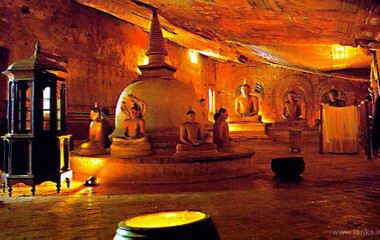 While it is rumored that Buddha was born on Sri Lanka, it is more accurate to say that Buddhism was revived on the island. Sri Lanka is an important center of Buddhist pilgrimages, with over 6,000 Buddhist monasteries and home to nearly 15,000 Buddhist monks. 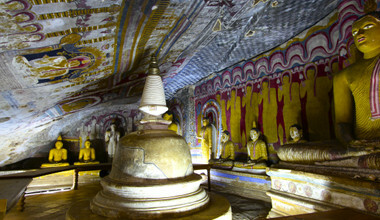 The Tooth of Buddha and the Bo Tree are among two of the most famous Buddhist places in Sri Lanka. 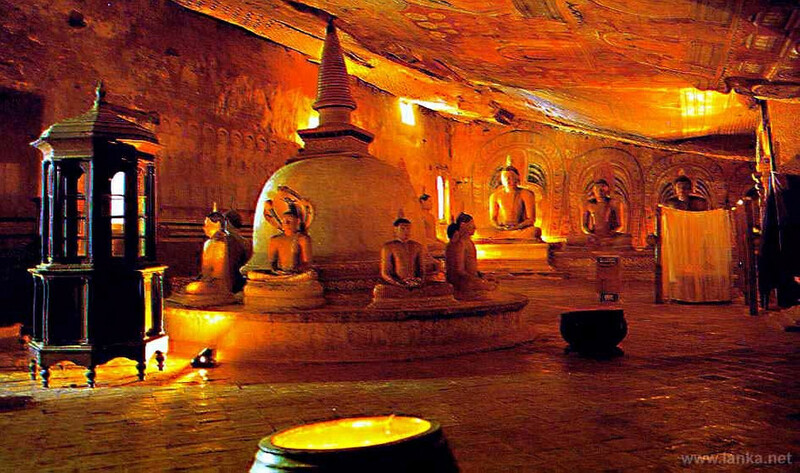 Perhaps the most overwhelming thing about Sri Lanka is the Buddhist culture of the Sinhalese regions. The teachings of the Buddha inhabit almost every home, while elaborate temples can be found in abundance throughout the country. Buddhism is truly infused within the Sinhalese culture and a visit to any one of the Buddhist temples is highly recommended. Sri Lankan food may, like the country, live underneath India's looming shadow but that's certainly not owing to a lack of quality. Blending spices, curries, coconut-infused recipes and rice, Sri Lankan food may sound like what you'd find in nearby countries but the taste is truly unique. We wanted to have a tailored tour in Sri Lanka and decided to use the 12 days' "the Best of Sri Lanka" tour by Roshara as the base. Roshara knew very soon what we wanted and suggested changes we couldn't even ask ourselves. On the tour, everything was as promised and we felt most welcome everywhere. This was one of the most carefree holidays for us ever. Thank you Roshara and our excellent guide/driver Michael. Well designed trip. Very efficient service. Roshara responded to every suggestion and offered many helpful additions. At one point she even made a late night phone call to clarify an issue.